Spring has sprung, and it's time to breathe in the fresh air and celebrate all things outdoorsy. Happily, spring is the perfect season for doing crafts and getting messy, both of which can be great practice for kids with fine motor issues. Try these activities to help your kiddo build his or her motor skills while celebrating everything that's wonderful about spring. Even if your family doesn't celebrate Easter, decorating eggs is a really fun and relatively simple project. 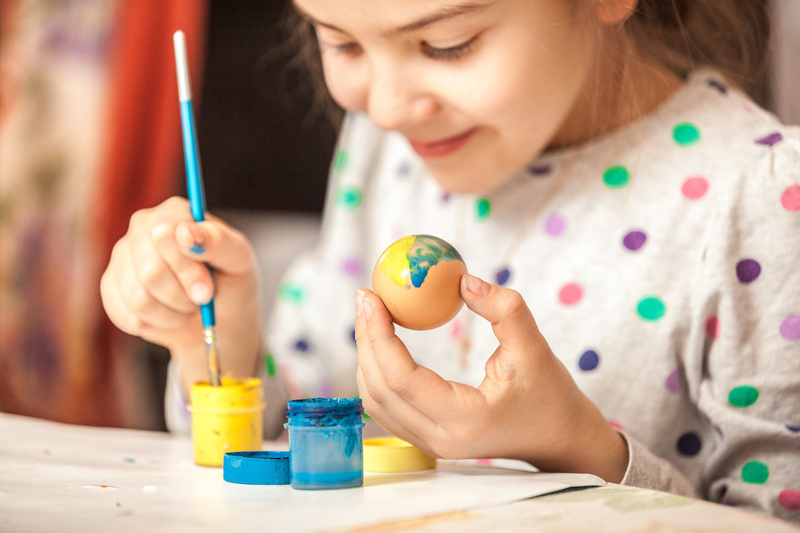 Use toothbrushes, paintbrushes and cotton swabs to decorate hard-boiled eggs with paint and glitter, or give kids plastic eggs to decorate with stickers, glue and jewels. Working with small objects forces kids to hone their fine motor skills. Digging holes and planting new seeds is another perfect fine motor activity for spring, and even apartment dwellers can do it. First, let kids finger-paint their own small flower pots. Then supervise while they fill pots with soil, add seeds, cover them with more soil and water them. Repeat this with several small pots to make your own indoor herb garden, which kids can then water regularly. Bird seed is tiny, so handling it will always force kids to use fine motor skills. Go the old-school route by having kids smear peanut butter all over a pine cone and coating the whole thing with bird seed, or help them assemble their own bird feeders from kits and fill them with seed. Add a counting element, like asking kids to find 10 pellets that are all the same color, to force them to use their fingers or plastic tweezers to separate out the tiny pieces. Rainy days are a regular part of spring in many parts of the country, which makes rainbows a perfect project for this time of year. Creating rainbow projects often requires fine motor skills because kids have to get a lot of different colors into a small space. Have them cut strips of paper to make rainbow wall hangings, or glue individual beads or sequins in a rainbow shape onto poster board.